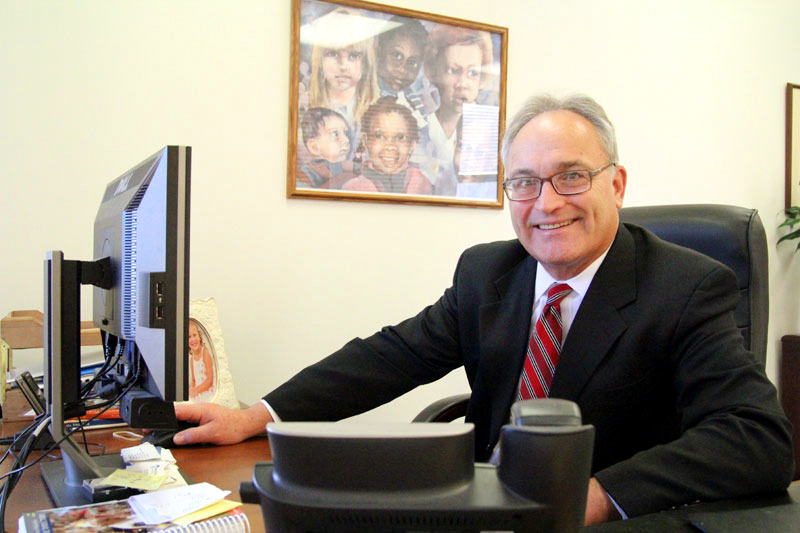 James Amato, who on January 1 succeeded Joseph J. Sweeney as secretary of Catholic Human Services for the Archdiocese of Philadelphia, brought with him 32 years of hands-on experience with virtually every facet of Catholic Social Services. It has literally been his life’s work. “I had the opportunity to work under some wonderful religious and lay leaders, and welcome this opportunity to keep up that tremendously charitable mission of the church,” he said. Amato grew up in St. Martin of Tours Parish, in Northeast Philadelphia’s Oxford Circle neighborhood, and went on to Father Judge High School and Temple University. He set his sights on social work from the very beginning. His first experience in the field was as a case worker at St. Mary’s Home in Ambler, a child care ministry of the Sisters of the Holy Family of Nazareth, where he worked for four years. He also continued his studies at Temple earning his master’s degree in social work in 1981. 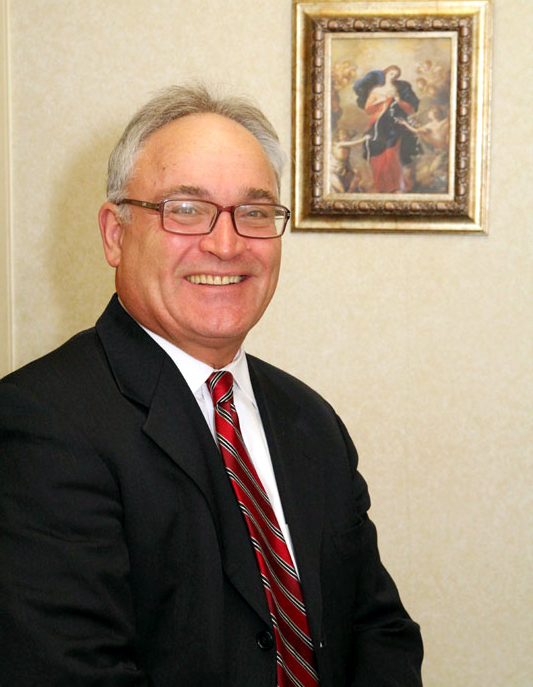 Then he took a position with the Children’s Aid Society of Pennsylvania, primarily in foster care work, where he remained for two years before coming to Catholic Social Services. Meanwhile he married his wife, Diane. They now live in Christ the King Parish, Morrell Park, and are the parents of three grown children – James, Stephanie and Matthew. At CSS his first position was administrative in parish social ministry programs, which in its heyday had about 30 such programs operated mostly by religious sisters in the city and the suburbs. His next assignment was working at St. Joseph’s Home for Boys as an assistant director with charge of three or four group homes. In 1992 he came into the central offices of CSS as an assistant director overseeing family service centers and homeless sites. This was followed by director of children’s services, which included all of the residential sites plus foster care. Under a reorganization in 2000 he became deputy secretary of Catholic Social Services, the position he held up to his recent promotion. Through all of these years he cites wonderful mentors, including Father Francis Duffy at St. Joseph’s and continuing on with Jack Smith, Msgr. Joseph Garvin, Msgr. (now Bishop) Timothy Senior, Msgr. Joseph Tracy and finally Joe Sweeney. Every one of them contributed to what Jim Amato is today. During his 32 years with the archdiocese, Jim Amato has seen great changes in the social service field, changes that began before he came on board but are still continuing. He will need all of the knowledge and experience he has gathered from his predecessors and add to that through his own administration. Looking back a century or so ago, most Catholic charitable outreach was conducted by dedicated religious and funded by generous lay men and women. Today the on-site staff is mostly lay professionals and funding comes primarily from government sources. Residential programs have given way to community-based programs that try to keep people in their homes, in their own community, giving them the necessary range of services they need to do this. “You are really forced to stay ahead of the curve on these things and also try to do it in a way for people to land on their feet, both the people who work for you and the people you serve,” he observed. A most recent example of this is the relocating of many of the 160 men with intellectual disabilities from the institutional setting of the Cardinal Krol Center in Springfield, Delaware County, into small group homes with a more home-like atmosphere, which has been remarkably well received. In effect, the large Don Guanella Village setting has become the Communities of Don Guanella — a new small-group model has emerged but with the same high standards of care for the individuals served. Another recent successful initiative is a new emphasis on senior housing through which the Philadelphia Archdiocese has partnered with government agencies in the construction of new apartments for seniors with modest incomes, with support services that enable the residents to age in place within their home community. Because, in today’s world, so much of what Catholic Human Services does depends on government funding, the challenge is, how does it retain its Catholic identity? Just one example of this, he noted, is the Martha’s Choice Marketplace, a way for needy families to select foods of their choosing at Catholic Social Services’ Montgomery County Family Service Center in Norristown. It is funded entirely by the appeal. But partnership programs with government agencies are the primary mode of service delivery. An example of such partnership are programs for women with unplanned pregnancies who want to keep their babies, such as the state-funded Real Alternatives program and funding by the City of Philadelphia for an archdiocesan mother-baby maternity group home. Government funds help provide the services, and CSS funds help maintain professional staff, care and safety standards at the highest levels. Undoubtedly the vagaries of public policy on the delivery of social services will continue to evolve, but on Jim Amato’s watch, he is determined that Catholic Human Services programs will reflect Catholic values as they serve adults and children with various needs throughout the archdiocese.